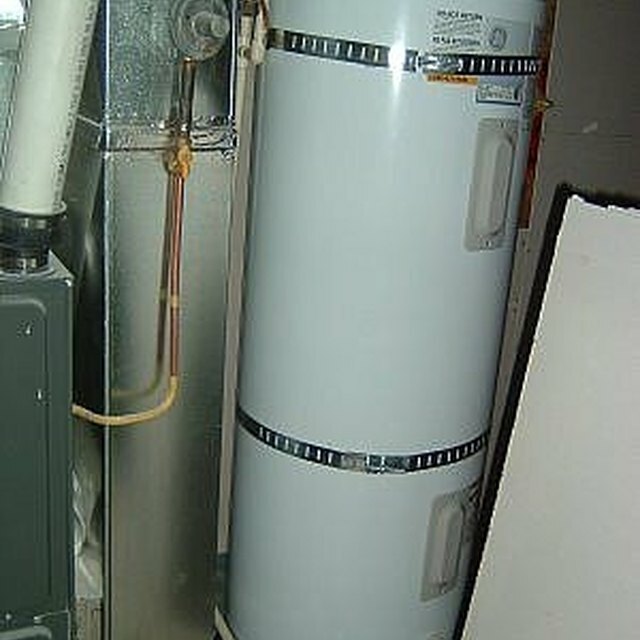 Flush the hot water tank annually as part of regular maintenance. Thread the female tip of a garden hose onto the flushing valve. Position the opposite end of the hose in an area suitable for draining, such as a floor drain. Turn the handle on top of the flushing valve counterclockwise to open the valve. Allow several gallons of water to drain out of the tank, or until the water runs clear. Close the flushing valve by turning its handle clockwise. Disconnect the garden hose.